SOCHI, Russia — The U.S. National Under-18 Team concluded the 2019 Under-18 Five Nations Tournament with a third-place finish after an 8-4 loss to Russia on Saturday at the Iceberg Skating Palace. 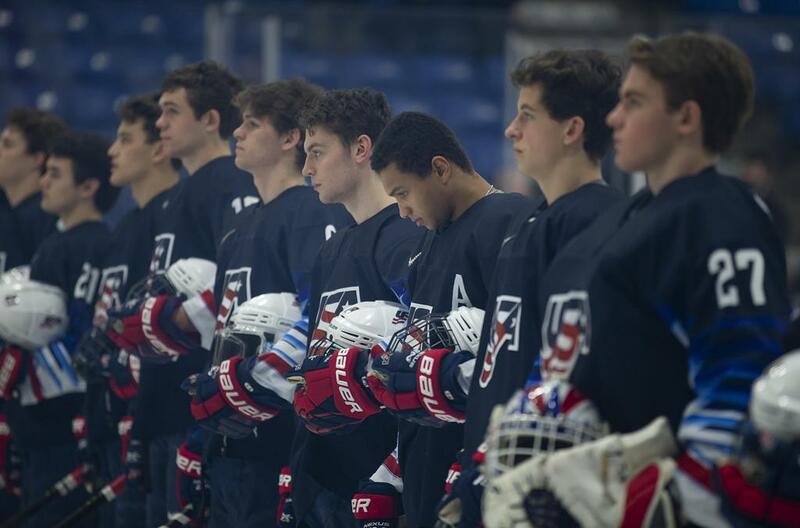 This is a different feeling than we've had as a group, but on occasion, one needs to be reminded how much something means to you," U.S. National Under-18 Team head coach John Wroblewski (Neenah, Wis.) said. "We'll use this as fuel for April [2019 IIHF Under-18 Men's World Championship]." 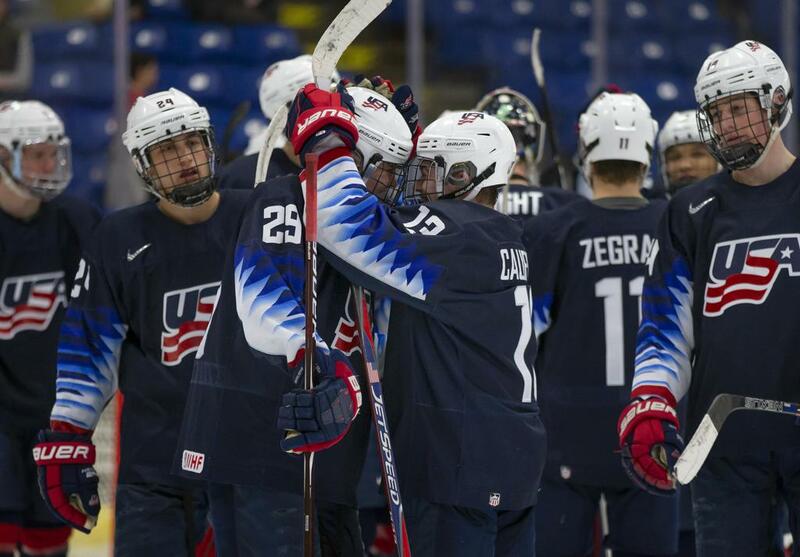 Alex Turcotte (Island Lake, Ill.) and Ryder Rolston (Birmingham, Mich.) delivered second-period goals for Team USA, but the U18s were unable to overcome a 4-0 deficit in the de facto championship game of the event. Russia tapped in a rebound for the game’s first goal with 4 minutes, 32 seconds to play in the first frame. The host nation doubled its lead before the break and extended it to 3-0 early in the second stanza. Turcotte put the U18s on the board with a power-play tally when he redirected a Cole Caufield (Stevens Point, Wis.) one-timer from the left circle into the back of the net. The goal marked Turcotte’s team-leading fourth of the tournament and cut the deficit to 4-1 at the time. Rolston later scored his second of the tournament when he found space in front of the net and tapped in a rebound to make it 5-2. Russia restored its four-goal advantage, however, with a goal early in the final frame. Caufield and Henry Thrun (Southborough, Mass.) added goals in the final two minutes of regulation for Team USA to bring the final score to 8-4. The U.S. National Under-18 Team closed the 2019 Under-18 Five Nations Tournament with a 2-0-2-0 record (W-OTW-L-OTL). 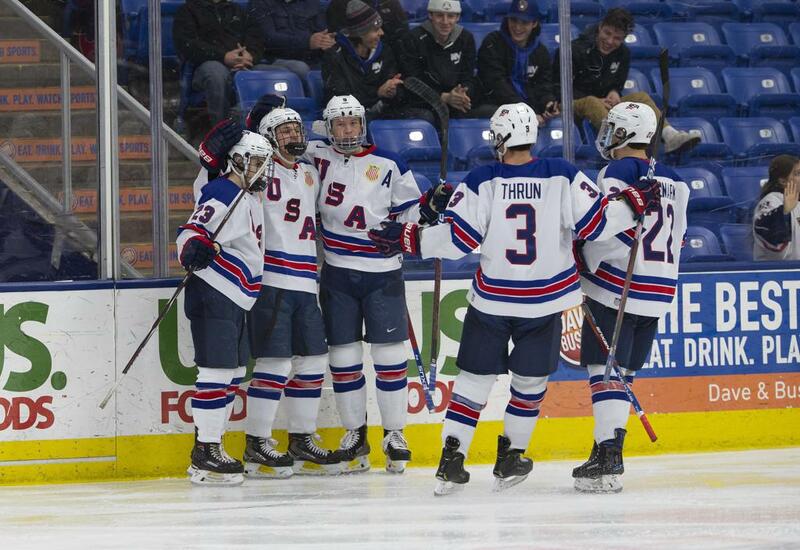 Team USA earned wins against Finland (3-2) and the Czech Republic (8-2) at the event. The U18s return to USHL play Friday (Feb. 15) when they take on the Sioux Falls Stampede. Puck drop is set for 7 p.m. ET at USA Hockey Arena. NOTES: Team USA went 3-for-4 on the power play and killed off 5 of 6 penalties it faced … The U18s outshot Russia by a 41-33 margin. Follow @USAHockeyNTDP on Twitter for tournament updates and join the conversation on social media by using #5NationsU18 … John Wroblewski (Neenah, Wis.) leads the U.S. National Under-18 Team along with associate coach Dan Hinote (Elk River, Minn.), intern assistant coach Kevin Lind (Homer Glen, Ill.) and goaltending coach Thomas Speer (Sancsville, Wis.).